Caldeco Air Conditioning & Heating is a top-rated AC repair company that serves several regions throughout Central Florida. 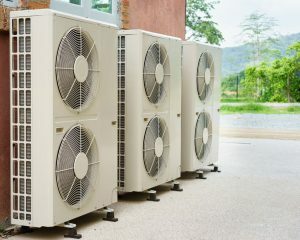 Often preferred over other area air conditioning companies, we are known for providing prompt, friendly and reliable service at competitive and affordable rates. For nearly 30 years, our family-owned, AC repair company has been providing top-quality service to residents and business owners throughout the communities in which we serve. We are 100% committed to superior customer service, and we are staffed with the area’s leading technicians. Regardless of your need, your technician will show up on time for your scheduled service call and be prepared with all of the latest equipment and tools needed to expertly complete your service or repair. They will work quickly to provide you with top quality workmanship and keep your property clean both during and after they have completed their work. Best of all, unlike other air conditioning companies, they will always provide upfront pricing prior to initiating work so that you can rest easy knowing there won’t be any added surprises along the way. For those in need of new AC systems, we will gladly provide expert recommendations on the makes and models most suitable for your unique needs. We can also offer financing opportunities to qualified customers. Apply now to learn if you qualify. For customers looking to save money on their next service call, we recommend you visit our Rebates and Promotions page often to view updated offers. Caldeco Air Conditioning & Heating is proud to serve homes and business throughout Westchase, Temple Terrace, Clearwater, Trinity, Wesley Chapel and the surrounding regions, so contact us today to schedule a service call. We are the Hometown Expert, and we’re confident that we are the AC repair company to trust with any of your AC-related needs.